Noise is endangering our very capacity to listen and to hear. The president of the United States engaged in a Twitter back and forth with NFL and NBA athletes over the weekend of Sept. 23 and 24, filling the airwaves with threats and harsh judgments about peaceful protests of racial profiling by police. The noise that followed our president’s 140-character messages drowned out the heavy groans of people reeling from recent natural disasters, the worried sighs of the millions of Americans whose health care coverage is uncertain, the prayer whispers of undocumented families who are at risk of deportation, and the grief of a nation faced with racism. On Sunday afternoon, I joined a small group of people of different faiths gathered at the Martin Luther King historic site in downtown Atlanta for a Standing Silence event. I went out of curiosity, as I contemplated the purpose and usefulness of silence in our time. Isn’t this the time to be outspoken? Isn’t this the time to be heard? Yes and yes were my immediate answers. However, what also rose to the surface was the acknowledgment that we are drowning in a deluge of words. Noise is endangering our very capacity to listen and to hear. As we approach the period when we again read the Torah from its beginning, I am reminded of the story of Noah and the flood when thinking about the babbling of our generation that comes across loudest. Rashi notes that the word for flood, mabul, is closely related to the word for confusion, bilbul (Genesis 6:17). Rashi’s commentary exposes wordplay between the destructive power of the flood in Noah’s time and the confusion of languages and breakdown of communication at the Tower of Babel. What’s the connection? The connection allows us to think about the flood as a metaphor — in our case, for oversaturation of words and information. Can we take refuge from the flood, as did Noah, in the contained silence of the ark? Aviva Zornberg, a modern Torah scholar, considers the hazards of Noah’s silence. From the beginning to the end of the flood narrative, Noah does not say a word. G-d speaks twice to Noah before the flood (Genesis 6:13 and 7:1), telling him what’s to come, how to prepare the ark, and how to enter with his family and the animals. After each of G-d’s detailed speeches, the text shows Noah’s perfect obedience. Noah does not inquire about the faith of the world around him. He does not seem to care about what happens to others. What we learn from the story of Noah is that silence is attractive because it is safe, but in that safety lurks the danger of apathy. However, we also learn that in the silence of the ark, Noah experiences a transformation. He feeds and sustains the lives of the animal beings he is responsible for. According to Zornberg, this life-sustaining act feeds Noah’s soul and transforms him from a person of apathy to a person of compassion and kindness, perhaps deserving of the title tzaddik, a righteous man. The contained silence of the ark becomes not only a place of refuge for Noah, but also a source of rescue for his character. 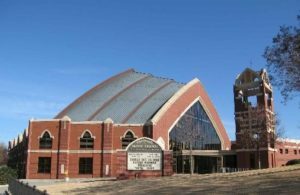 As I sat in the amphitheater just outside Ebenezer Baptist Church, surrounded by dozens of people who were compelled to show up for a silent protest, I tried not to think about Noah or much of anything else, surrendering to the focus on my breath. We sat close to a busy urban intersection filled with the sounds of passing cars and motorcycles, sirens in the distance, and playful voices of children walking by. With my eyes closed, I heard the faint sound of a voice I immediately recognized. Its cadence was unmistakable, and although I could not make out the words, I could hear the power and familiar depth of its baritone. Later I walked across the street, up the concrete staircase and beyond a row of trees to discover a small speakerphone at the side of King’s memorial that pipes in recordings of his speeches advocating nonviolent resistance. It is true that silence can be seductive in its offer to retreat from the world. Yet silence is also the very thing that can lead us out of cynicism and apathy back to integrity. It can allow us to hear the emergence of hope.